This is page 2 of the review. Head back to page 1 by clicking here. This is where this review gets a little more personal. To be honest, I don’t cry that often when watching films. If the film is great and emotional, I may get misty-eyed, but it is rare for me to full-on cry, demonstrating that I may have no heart. Inside Out broke me. There were at least two parts of the film where I felt devastated and saw tears streaming down my face. It is a testament to the great groundwork laid throughout the film, for the story and the characters, that when the film reaches its climax, you are completely connected to what is happening on-screen. It also helps that it is all relatable, whether you are a child or an adult (truly and at heart). My opinion, though, is that parents may be the most affected. Speaking as a newly minted father of a baby girl, it was wondrous to not only see what is going on inside our minds, but also to see Riley growing up. Docter has gone on record many times stating that he came up with the idea of the film to better understand what happened to his young daughter, who was once bursting with joy, but changed seemingly overnight. How many superlatives exist that have not yet been used to describe the visuals of a Pixar film? Gorgeous, beautiful, stunning, and mind-blowing have all previously been assigned to the animation and lighting of the studio’s films, and they will be again for Pixar’s latest. 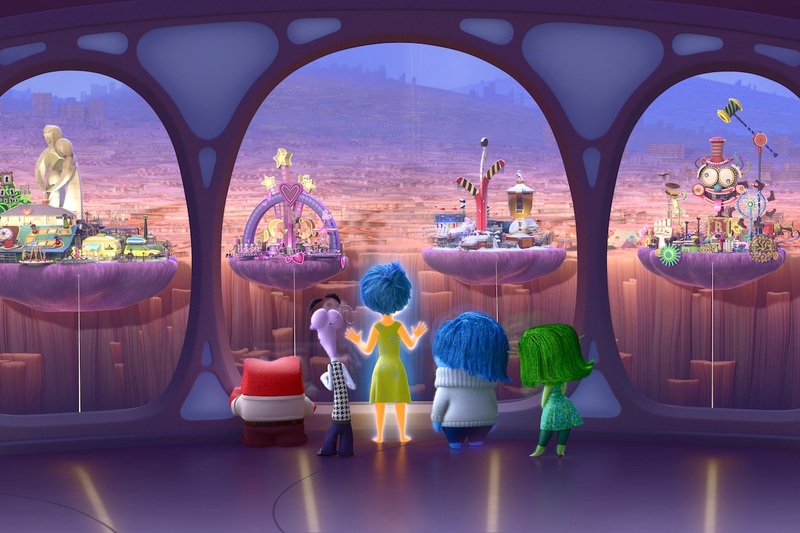 Inside Out‘s visuals are unique, though, in that the imagined mind world is not bound to the physics the artists at the studio bestowed upon its previous characters. The toys in Toy Story, the monsters in Monsters, Inc., the cars in Cars, and (of course) the humans in The Incredibles are usually grounded by nature’s laws because they are anthropomorphic. The mind, though, is a made-up world, and Docter took advantage – the emotions, though they are also anthropomorphic, emit small balls of light from their bodies and bend/move in cartoonish ways that you would associate with a Chuck Jones production. Additionally, there are several areas of the mind such as the Screen of Consciousness that look like more like conceptual artwork artists work on in the development process of films. It adds yet another level of beauty to the mind world. Michael Giacchino, best known for his work on the television series LOST and the Pixar film Up, served as composer on the film. The orchestral music in Inside Out is the best we have heard since Up, with a beautiful main theme flowing throughout the soundtrack. While it does not surpass Up‘s majestic score (how many recent films have had such memorable music? ), Giacchino’s music here serves as an excellent accompaniment to the film’s heart-warming story. Those heart-tugging moments I mentioned earlier – the score is the striking blow. The film’s infectious music begins playing from the moment Disney’s logo appears ahead of the film, and during my second viewing it caused me to get emotional before the story even started. 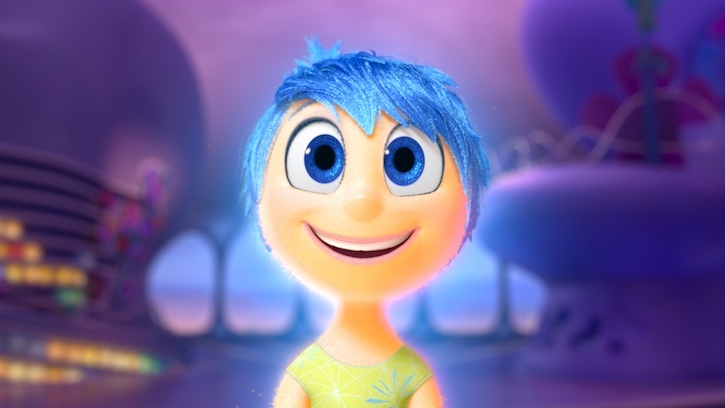 Inside Out is Pete Docter’s crowning achievement. That was a tall order, given that the last film he directed was Up, which had audiences balling within the first ten minutes. I would argue that although the opening of Up is one of the best things we have seen in cinema, the rest of the film never reaches that height again. 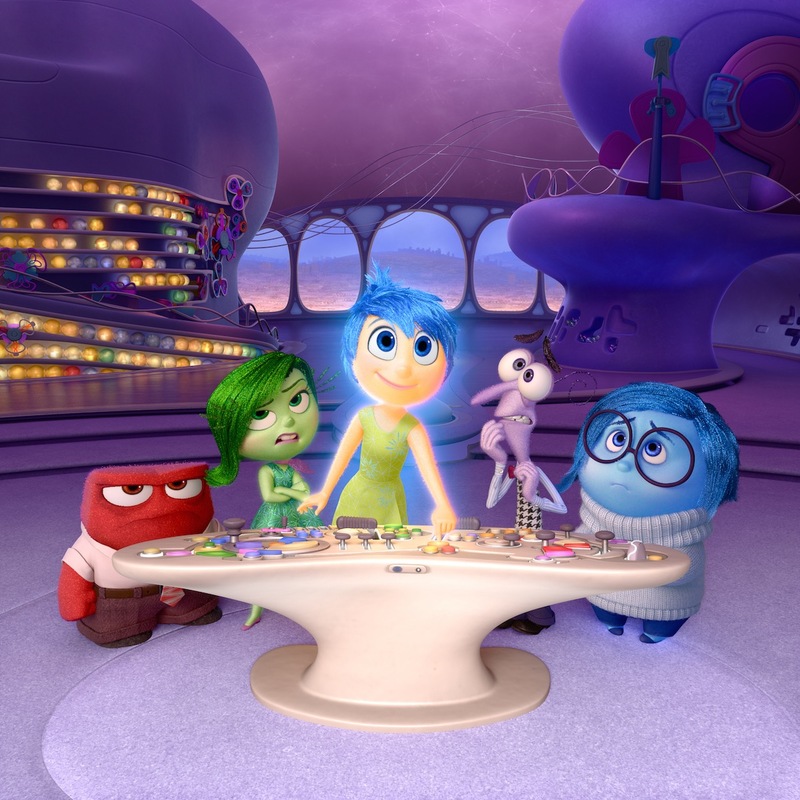 Up is easily one of Pixar’s best films (and one of my favorites), but Inside Out is a better well-rounded film. The humor, story, and heart of Inside Out are so incredibly well-balanced, more than you will see from almost every film this year. It is also an important film – it teaches us how our mind works and carries a bittersweet message of hope and sadness. Docter and co. obviously take liberties with concepts of the mind, as ideas are exaggerated and simplified, but the ideas carry a truth to them that could make Inside Out a teaching tool for children (as well as adults) on how emotions, thoughts, and ideas work. The film is an instant classic for one reason alone – you can grow up with it, watch it when you are a child, teen, adult, or parent, and you will connect with portions of it you never knew existed. The humor and story are brilliant and multi-layered, which begs for the film to be seen over and over again. 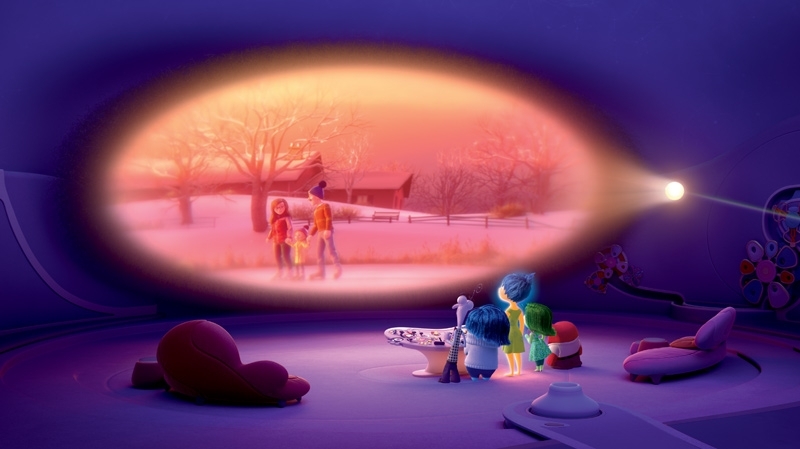 Inside Out is a masterpiece, the likes of which we haven’t seen from Pixar since the original Toy Story. The studio has seen a number of incredible films including WALL-E, Up, Finding Nemo, and Ratatouille, and although they are difficult to rank due to how wonderful they are, Inside Out is, all-around, a (slightly) better film than almost all of them.